In 1969, the first human touched down on the moon. It was a singular moment in the history of mankind. At the same time, the face of American music was changing. Jimi Hendrix was setting the scene on fire and James Brown was in the process of converting the masses from smooth, laid-back soul to hard-driving funk. Countless bands and musicians were left forever changed in their wake. One thing, however, remained constant–Saturday Night. People have always needed to shake off the dust of everyday life, and these newly funk-i-fied masses were no different. 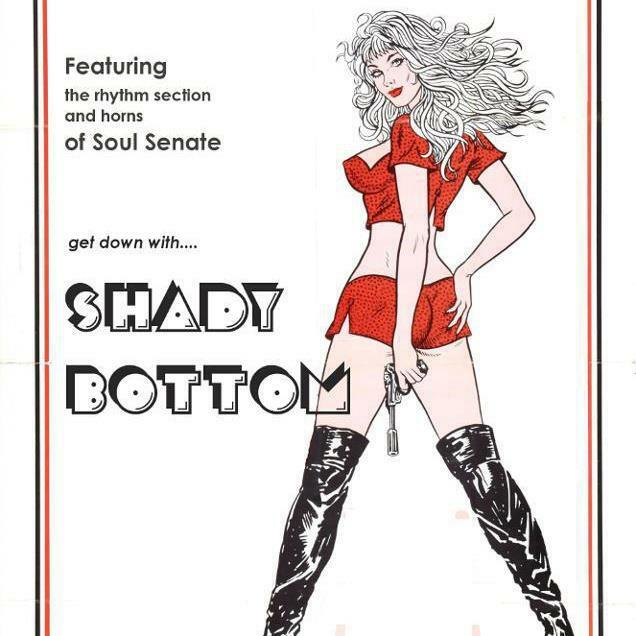 Shady Bottom continues this tradition of Saturday night dust shaking, hard grooving, & hip-thrusting from old school house parties and juke joint jam sessions. Inspired by the sounds and personalities of that threshold era of the late 60s and early 70s, Shady Bottom serves up gritty and gyrating songs for the modern party. If your bottom ain’t shady, it should be. Also keep your eyes out for upcoming new releases on Shady Bottom Records.